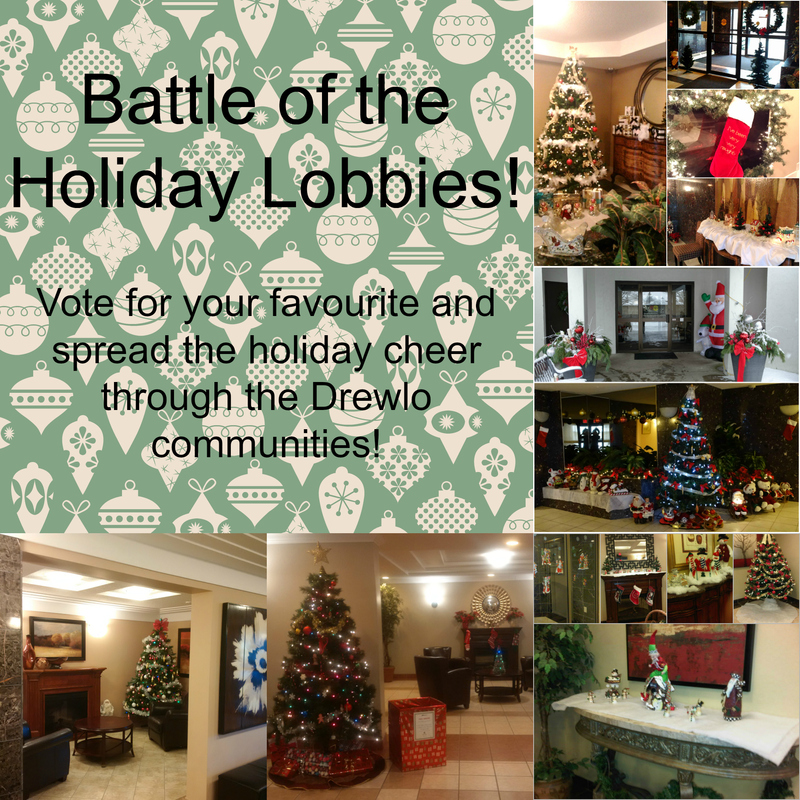 Spread some holiday cheer by helping one of our buildings win a prize for their tenant holiday party. Our building managers have put together festive looks for their lobbies and now you can choose which one is your favourite. Go to Facebook to vote for your preferred choice. The photo with the most 'likes' at 9AM on Monday, December 12 wins!